For reasons unknown, the school has decided to start enforcing state smoking laws. 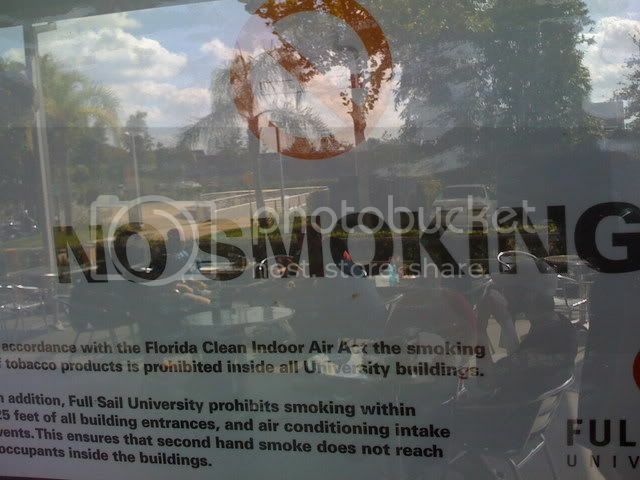 This means that the literally hundreds of smokers at the school won’t be doing it right at the door of every building. this is good for more reasons then I can count, but the main one is that I’m getting way less second hand smoke just going to class, and that’s a super plus.